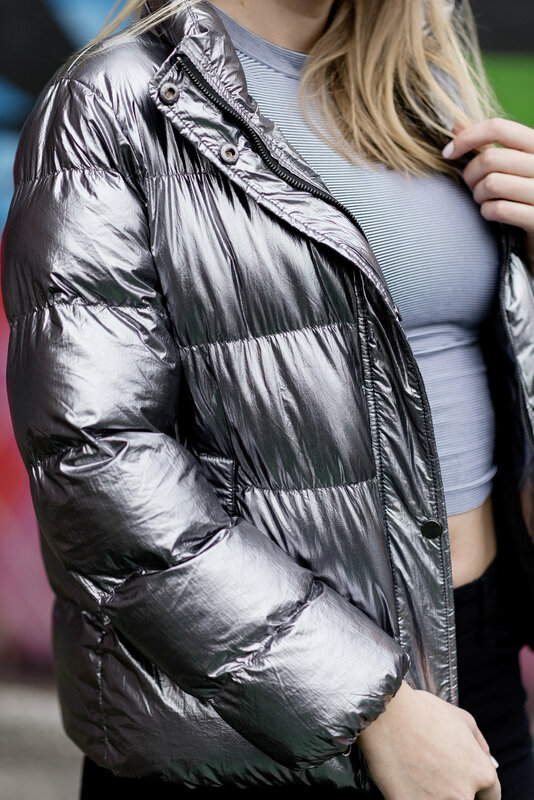 Silver puffer jackets are all over instagram lately. They are futuristic, trendy, and can be worn so many different ways. Here I paired mine with some black ripped jeans, patent leather combat boots, and a crop top to give it a very grungy, Seattle street-style vibe. I love pairing my jacket with other girlier items as well. A black dress, or cream colored top would be nice. This jacket has quickly become one of my favorite pieces of outwear in my closet. It is perfectly bold and wearable at the same time. I get so many compliments and questions about it when I wear it, and honestly it is perfect for winter fashion in the city. It definitely stands out, but I feel like it is neutral enough you can wear it with almost any outfit, dressed up or dressed down.